Many of the findings and the recommendations we make in Cutter technical debt engagements are broadly applicable in concept, if not in detail. There is commonality in the nature of the hot spots we typically find, the mal-practices we identify as the root causes and the ways we go about reducing the “heat.” Granted, your technical debt reduction strategy might dictate investing in automated unit testing prior to reducing complexity, while your competitor might be able to address complexity without additional investment in unit testing. However, the considerations you and your competitor will go through in devising your technical debt reduction strategies are fairly similar. It is this similarity that we try to capture in this Executive Update. Some of specifics we recount here might not be applicable to your environment. However, we trust the overall characterization we provide will give you, your colleagues and your superiors a fairly good “3D” picture of how the technical debt initiative will look like in the context of your own business imperatives and predicaments. The good folks at Cutter have released the Executive Update from which the excerpt cited above is taken. It is co-authored by colleague Chris Sterling and me. For a free donwnload, click here and use the promotion code DELVING. Readers of both the Cutter Blog and The Agile Executive are probably familiar with my my view that Agile nowadays is deployed in a new context. The Agile roll-out is at the very heart of the confluence of major changes in markets, value chains and technological capabilities. 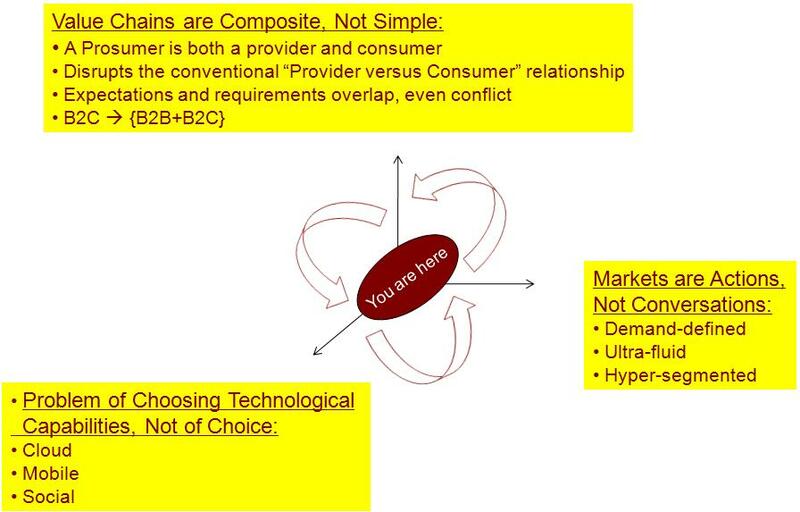 Markets are tilting toward hyper-segmentation; value chains are being populated with prosumers; and, technological capabilities are becoming a problem of choosing, not of choice. 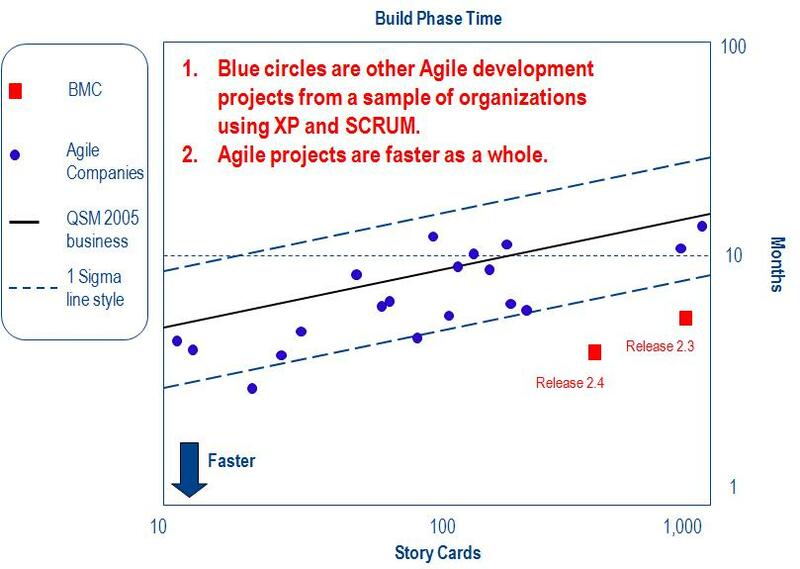 Hence, the real starting point for the Agile roll-out, indicated by the you are here marker in Figure 1, is comprehending the implications of the merging of these three trends in the context of the client’s business. DZone has just published an interview with me on the subject. Click here for details, including a discussion of the nature and power of ‘Super-Fresh’ Code in the new context. 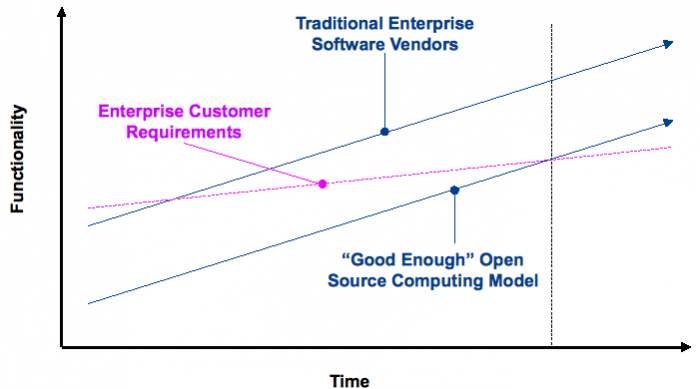 Click here for a discussion how the two phenomena – open source and software decay – affect both the runway and the hardware v. software discussion. The results measured by Michael reaffirmed for me a core belief that I had developed as a young man in the Israeli army: ordinary people can achieve extraordinary results. We did not have, with all due respect, extraordinary talent at BMC; our development tools were nothing to write home about; the problems of communicating effectively across 10.5 hours of time zone difference from Austin, TX to Pune, India were very real; and, we were subject to repeated layoffs. What we accomplished was primarily a matter of doing the right things by an extremely important stakeholder – the business unit employees. Click here for a detailed account of the 2004 experience from a 2011 perspective.